Welcome to the Ash Class blog! : 100wc - week 33! If you'd like to do the 100wc over half term, here are the details! The prompt is quite long - there are two stories about children living in Africa. Both of the children have difficult lives - your task is to write a letter to one of them, either telling them how you feel about their story, or explaining how your life is different to theirs. You can see the prompt by clicking here. 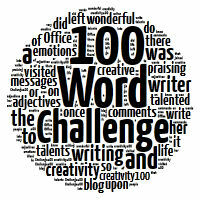 Remember that you only have 100 words to use!